I’ve been interested in the prospect of virtual reality for some time now, but only recently have I been able to actually experience it for myself. The first opportunity I had to try it out was at one of the stores on the ground floor of the new tech shopping mall next to the Guanghua electronics market. They had an Oculus Rift Development Kit 2 rig set up there, where one could experience a roller coaster ride as well as a solar system demo. As it was my first experience with VR, it was bound to be impressive. I gripped the stool with one hand and tried to right myself as well as I could while the roller coaster tossed and turned, climbed and dove. I could look around, which was novel. I’ve always been interested in the little corners of video game environments that nobody else paid any attention to, and VR provides the potential for people like me to explore those corners better than any previous system has been able to so far. I like the exploring part of these environments far better than the shooting part. I’d turn on the god mode of FPS games just so I wouldn’t be distracted by all the killing and playovers, letting me just walk around and look at things. That was one of the main reasons I preferred PC gaming to console units back in the day. The solar system demo was also impressive, sitting in a little cart jetting around based on eye movements, but somehow too abstract to convey the real experience. I found myself thinking, if I could just see some more detail in these massive things, I’d have a better idea of their size. But what the Oculus DK2 set provided was just a glimpse of what VR could offer. The main feature was the low latency; at no point did I feel sick or dizzy, though I’d think providing chairs with actual backs wouldn’t be a bad idea for people trying out VR for the first time. What it didn’t provide, what it was sorely lacking in fact, was sufficient resolution to really make the view believe that they are seeing these things for real. Also, it felt limiting to be constricted to sitting in one spot and be led around by the program. It’s not the way we operate in reality, so it feels somewhat at odds with the concept of virtual reality. There’s movement, but you don’t feel it with your body; there’s no inertia to be overcome, no real sense of the movement involved. Also (and this is not an inherent fault of the Oculus), after being tried by so many people, the DK2 headset was kind of ratty and smudged. It felt very much like wearing dirty goggles. My next opportunity with this technology came at a recent Taipei tech show, where I was able to try out HTC’s Vive setup. This meant waiting in line for a period of time before being ushered into a black room with a solitary chair. I put on the headset and found myself in a large white space. The controllers on the virtual floor matched their actual position at my feet so exactly that bending over and picking them up was completely natural. “Ok, we’re going to start the first demo,” the HTC people told me through the headset’s speaker. And immediately I was on the deck of a sunken ship. Yeah, I’ve read about this demo, but it really can’t be described. The Youtube videos of it don’t come close to matching the experience. It’s really…almost…like you’re there. Unlike with the Oculus, I could walk around, to a limited extent. I walked over to peer over the side of the ship, down to the bottom, and the handlers said, “Be careful, you’re about to run into a wall.” The detail was far better than that of the Oculus DK2, as was the field of view. This! I thought. This, I’ve got to have. But maybe not; in the first quarter of 2016, not only will the Vive arrive on shelves, but the new Oculus, which has better resolution, etc. as well as Sony’s Morpheus, which plays with an updated version of the PS4 called the Playstation VR, and Samsung’s Gear VR, which can be used with your phone (Your phone, not mine. I’m still using an old iPhone 4, which is pathetically unable to handle such things). I don’t have a powerful PC set up, but I have been thinking of getting a console, so it might be that the Morpheus and a PS4 would work better for me. If the Vive plays well with my iMac, I might go that way. If the Oculus lets me move around, maybe that. Who knows? Nobody knows, at least for the moment; it’s a free-for-all, and it might not go anywhere if the developers don’t over the problem of integrating physical motion in games. Many, if not most of the proposed game demos feel like ordinary games forced into a VR medium, and don’t really take advantage of anything VR has to offer. Who wants to be in a cart the whole time? I’ve seen rigs with a guy standing on a movable plate and harnessed into a ring around their waists, but that seems half-assed to me. What would be better? I have no idea, but I have to admit the idea of making my living room into a VR space just for games, where I am free to move about in a roughly five-square-meter area, appeals to me. The games would have to be specially designed to fit these limitations, though. How would that work? Would all of the rooms be of that size or smaller? Would you have to turn around at each door? Will longer distances necessarily be done on little hoverboards, etc.? Could a special chair be made to simulate motions in the game? Shouldn’t the controllers be more like gloves and have force feedback inside? For now, it seems they’ve got the head motion tracking part down, including binaural audio feeds. Improvements from here on out will be in resolution and field of view, as well as the mechanics of physical motion in the games. How well will MMORPGs work with VR? Who wouldn’t love to simply wander about the Enterprise, or Mos Eisley spaceport, or the bath house from Spirited Away, or Hogwarts? Even if there were nobody to fight, no challenges or anything, just spending time in those worlds would be fascinating. Interesting times lie ahead. But I can’t help but wonder how much of their lives people will invest in these environments. Surely within a few short years they will become perceptibly indistinguishable from reality, and if we can choose to inhabit crafted worlds, what happens to our ability to deal with the actual physical world? What happens if the populations of more affluent nations are mostly immersed in these worlds, while everyone else has to deal with reality? What happens if there’s a point where everyone is in these worlds, and not in this one? Will it be mandatory? Will reality become unpopular, or even illegal to experience, or both? Will there be a backlash? If so, will anyone care? I suspect we’re going to find out. Hard to believe that it’s September already. With most of my weekends gone to playing in clubs, time has really flown. Fall, however, has brought with it a plethora of new camera releases, which in turn represent a conundrum for me. A while ago I wrote about my photography being divided into three levels of cameras, i.e. my big, heavy DSLR I take with me for dedicated photography trips, the compact camera I keep in my backpack all the time when I don’t feel like carrying the big camera and lenses with me, and the tiny camera on my mobile phone that I use when I don’t have the time or inclination to fetch either of my “real” cameras. The first one, of course, is Olympus’ EP1, a micro four-thirds camera somewhere between a compact point-and-shoot and a DSLR in both size and image quality. The stylin’ retro EP1 has no flash, which doesn’t bother me particularly, but the LCD is not particularly detailed, and since you have to rely on it for focusing, this is an important point to consider. Last week I attended a class on the EP1 just to check it out. It feels great in the hand, and the sound and feel of the shutter are wonderful. The EP1 also has in-body image stabilization, which is good for the low-light shots I love. For some reason, however, it kept focusing about a foot behind where it should have. The speed of the contrast-detect AF was about the same as my LX3, not bad, but not instantaneous. Many of the percieved deficiencies of the EP1 might be fixable with new firmware, of course, but the focusing issues give me pause. The new Panasonic GF1, however, seems to have much quicker focusing, as well as a properly resolutioned LCD. The Panny, however, lacks in-body image stabilization and relies on lens-based systems. But with higher ISO shooting made possible by the larger sensors, it should still be better than the LX3 (theoretically). One problem with the micr0-four-thirds format is that, if you want any kind of range, you have to use a bulky zoom lens like Oly’s 14-42 (which collapses) or Panny’s 14-45 (not sure if it collapses). In order for them to be truly compact, you have to use one of the pancake lenses with a single focal length. Is it worth giving up a decent range of focal lengths or portability for the extra image quality? This is the problem of the middle camera: exactly where in the middle should it be? This brings me to the Canon S90, which would theoretically replace my Panasonic LX3. I have to admit I’ve always had a soft spot for Canon powershots, as one of the early models was my first digital camera, the SD100 back in 2001. Although the Lx3 is a fine camera for its size and does its job with more efficiency than any other compact I’ve had, it just isn’t as pocketable as my old powershots, and I have a hard time loving the output, especially after the brilliant images I got from the Sigma DP1. The DP1’s handling was heartbreakingly slow, however, and I was simply missing too many shots with it. The ones I did get, however, were wonderful. I’m under no illusion that the S90 would be much of an improvement over the LX3 as it has a similarly tiny sensor, adding only some useful telephoto range and a much slimmer, pocketable profile, and hopefully nicer colors. Obviously, the easiest, cheapest option would to be to not buy anything new and keep the setup I have. Or I could replace the LX3 with either a GF1 or EP1 for better image quality, or with an S90 simply for better portability and range. I am also tempted to upgrade my phone to the iPhone 3GS just for the better camera, but I am tempted by the extra speed and compass functions as well. In that case the phone camera’s portability would make an S90 a little redundant. I’m not forgetting that Leica is scheduled to unveil some new cameras on the 9th, aka 9/9/09 (full-frame M9 anyone? ), but I’m sure that any digital camera they make that I could conceivably afford, I could also get for a third of the price from Panasonic, minus the little red dot. None of the above cameras will be on shelves here for a matter of months, however, and a lot can happen in that time. If there’s one thing I’ve learned about this business, it’s that there is always a better camera just around the corner, and if you keep waiting for the “perfect” model, you’ll just be missing out on the pictures you could be taking in the here and now. 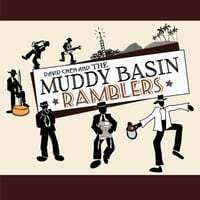 For all of you Muddy Basin Rambler afficianados not fortunate enough to actually live in the Muddy Basin itself or with family members exiled from our fair island, our self-titled album chock full of foot-stomping jug band goodness is now available online for purchase at CD Baby. Yeah, I know, I should have put this up earlier so you could all send MBR CDs to each other for Christmas. Sorry. Go buy some anyway; you won’t regret it. In other news, after a growing sense of unease created by the indecisiveness of various media industries and their continuing suicidal inability to decide on a single format for high-definition content, coupled with the fact that there is simply no other way for me to access HD content in Taiwan, I purchased a TViX HD4100 media box and stuck a 500Gb hard drive inside. It’s basically a media player with HDMI and other AV connections that plays just about anything I can throw at it, HD or otherwise, on my TV, all the way up to my Sharp Aquos’s 1080i resolution limit. I plug it into my computer’s USB2 port and shuttle stuff over, then hook it up to the TV, though it has an Ethernet port. With the remote control, it feels just like a DVD player and works just fine with both HD-DVD, Blu-Ray, AVI, XVID, DVIX, MP3, MP4 or whatever format. The video looks gorgeous and the sound is great. So, all of the rest of you, go on clawing at each other over whether Blu-ray or HD-DVD is better as long as you like, but try to keep it down, ok? I’m watching a movie. Apple’s announcement of its new line of iPods hasn’t made my quest for the perfect device any easier. Instead, it’s become more convoluted, as no single version of the iPod really meets all the criteria I have for a decent all-around device. Many people were looking forward to a multi-touch iPod, but the one Apple came up with has only 16Gb of space on it. My first thought was that 16Gb would hardly do, with the iPod Classic having ten times that amount in space. But then I thought, exactly how much music do I have on my ailing iRiver? I connected it only to find that after years of adding to it, I have a mere 7Gb of music on it’s 20Gb drive. And that’s my entire mp3 collection (how would cover flow work with no cover art? I wonder). But as that gorgeous widescreen demands videos, that only leave 9Gb for videos, which amounts to around 10 hours of video. So much for having entire runs of ones favorite TV shows on hand. But then again, realistically, how much time would I spend watching videos? I tend to read books when I’m out and need a diversion. This may be because videos have never been available in such a format to me before, of course. But I certainly wouldn’t be watching them when I’m walking around, 0nly when I was trapped someplace like the subway or…well, the subway. Even on a real train I tend to spend my time looking out the window rather than wishing I had that one episode of “Seinfeld” where George does that thing. I suppose I could wait for the iPhone to reach our golden shores, preferably in 16Gb or even (gasp) 32Gb form, but there’s no word on that, and the thing still lacks GPS and 3G connectivity. When it comes down to it, there still just isn’t one device that covers all the bases. The iPod Touch has the web, music, some video, a (so I hear) semi-usable keyboard and great screen, but lacks a camera, GPS, HDD and phone capabilities. The iPod Classic has the space and does music and video, albeit on a smaller screen (do you really want to spend all that time peering at a 2.5-inch screen? Can’t be good for your eyes), but lacks everything else. The iPhone, with only 8Gb of memory, would be hard-pressed just to hold my music collection. Similarly the 8Gb Nokia N95, which has GPS and Internet, but no touchscreen or keyboard. I’m not listing devices like the Archos video player, the Creative Zen Vision and the HTC Shift that won’t fit in my pocket, btw. So maybe my question should instead be: Which two devices offer the most complementary and comprehensive range of features? I’d say either the TyTN II and the iPod Classic, though this would mean sacrificing the widescreen videos, or the TyTN and the iPod Touch, which would mean going without all that HDD space. There’s also the issue of mixing and matching between the Windows OS and the Apple OS systems, which sounds complicated at best. And there’s the issue of the traditionally poor iPod sound quality, as well as having to deal with iTunes, which I’d rather not have to do. I far prefer the drag-and-drop simplicity of the iRiver. And frankly, the iRiver’s sound quality rocks. I’ve heard good things about Creative’s sound quality, but I’d have to hear it for myself to make sure. Creative’s offerings seem more like the last-generation of iPods, though. If I go that route, I might as well go for the 160Gb of iPod Classic goodness. So phone-wise, the HTC TyTN II still has my vote for the phone side of things. On the media side, iRiver, which isn’t offering any equivalent player at the moment, is fresh out of new batteries for my discontinued H320, but I still might be able to find a resupplier if I want to pay for it and wait for other choices to become available. When the actual new iPods make it here, I’ll mosey on down to the store to cop a feel and see if I can’t come to some kind of conclusion on the matter. It looks like my trusty iRiver H320, which has served me well and faithfully these past couple of years, is having problems holding its charge over a single day. When I asked the iRiver outlet at K-Mall about it, they mentioned that iRiver is releasing a new 20/40Gb player in December. If I can’t get a reasonably priced battery replacement for the H320, the only choices I will have will be a Creative product or another iPod. The reason I ditched my last iPod was due to lack of FM, recording, usable disk space and inferior audio quality. Aside from the disk space, I don’t think they’ve addressed these issues, and besides, buying an iPod now, with a wide touchscreen version supposedly on the doorstep, would seem pretty foolish. But I gots to have teh music, as books aren’t always convenient on the subway or when walking around as I keep bumping into things as I read. Though technology has come a long way in recent years, I’m still waiting for the Great Mythical Convergence Device appearing in a pocketable form that has all the photography features of my Canon powershot, the audio features and sound quality of the iRiver H320, video playback quality of the iPod video, GPS, Wifi, 3.5G communications, a keypad, tilting screen and oodles of gigabytes in storage. The closet I’ve found to this so far is HTC’s upcoming P4550 “Kaiser”, though the camera doesn’t come close, memory is limited to a micro SD card’s 4 or eventually 8gb, and who knows what battery life is like with all of those applications running. There’s the HTC Shift, but it’s just too damn big. Perfect for the occasional Wandering of Europe, I guess, but not for daily use between home and work computers. So anyway, even the Kaiser isn’t quite the be-all/end-all device I seek, and it’s not even out yet. For now, I’m afraid I’ll have to continue hauling around my Canon, the Nokia phone I bought in Beijing and either the iRiver with a cheap new battery or some questionable replacement until the new iRiver and iPod come out.